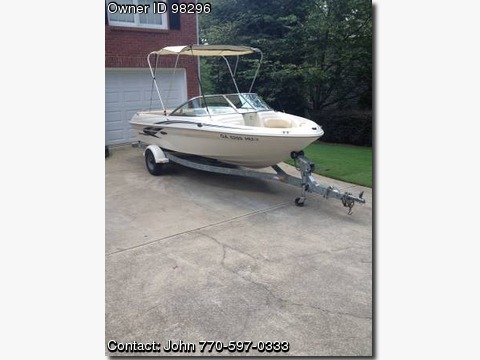 Please contact boat owner John at 770-597-0333. 2001 Sea Ray 18ft Bowrider. This boat has always been garaged kept and is in excellent condition. Very low hours on the Mercruiser 3.0L with alpha drive. The starter was replaced spring 2014 during service. Shorelander Galvanized trailer with break away tongue. Tires replaced spring 2014 as well. This boat is a fuel miser and is great for family fun all day at a minimal cost. No dealers or consignment wanted.